Summer Flights to Europe Are the Cheapest in Years. Here Are the Best Deals. By now it’s no huge secret that airfares to Europe have gotten a lot cheaper in the past few years. The economics are simple: Low-cost airlines competing with legacy carriers offering more basic economy flights to more airports means you can now fly to Madrid for less than you can fly to Modesto. If for some reason you wanted to fly to Modesto. So where are the cheapest of the cheap flights? If you’re not lucky enough to pounce on one of those unreal $99 fares, not all is lost. The folks at search engine Kayak found airfares to Europe are the cheapest they’ve been in three years. Diving deeper, they looked at the 200 most-searched European destinations from the three largest airports in each US state, crunched the numbers, and found the 10 cheapest European destinations when flying from the States this summer. The cheapest European destination to hit this summer shouldn’t surprise anyone, as the slew of $99 fares on WOW Airlines have slashed the median price. The downside? You’ll keep running into Bostonians and Torontonians when you cruise the bars of Reykjavik. The upside? It’s otherwise very sparsely populated, so go find your very own geysers, volcanoes, hot springs, and other intergalactic-looking stuff. Rent yourself an RV and cruise the Ring Road, one of the most spectacular drives in all the world. Just make sure to pack your wallet: Iceland’s beauty doesn’t come cheap, though if you plan it right you won’t go broke either. 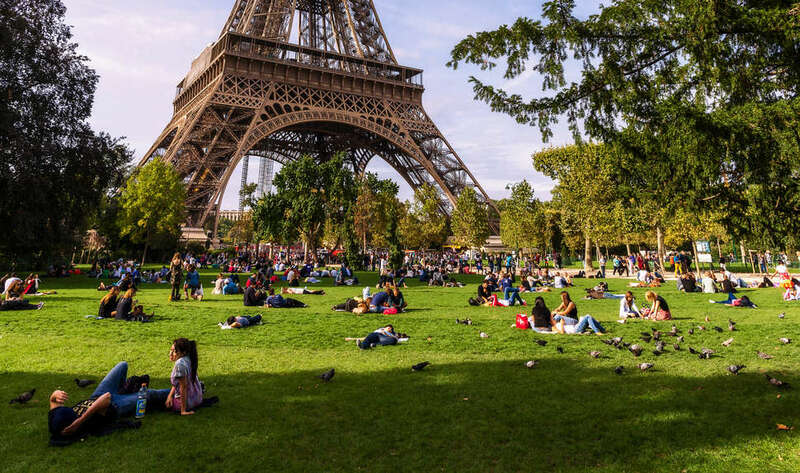 With airfares here the second-cheapest this summer, now’s your chance to post up on a makeshift beach along the Seine, where palm trees and sand pop up in the new Parc Rives de Seine from July 8 to September 3. The French Open is the big draw in late May, or go in June for the annual Paris Jazz Festival, which runs through July. Later on in the summer, the Download Festival will be headlined by Guns N’ Roses, Foo Fighters, and the Offspring. And July 14 is Bastille Day marked by parades, pageantry, and epic fireworks displays at night. Whatever you do, don’t fret about standing out as an American: No matter what you do to hide it, Parisians just know. Want to guess where Norwegian Air will take you for $99? The discount airline is a big part of why this city boasts the third-cheapest European flights this summer. 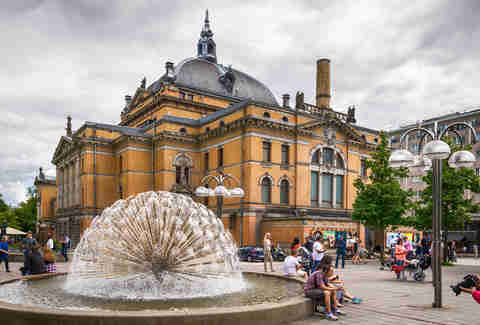 The city is one of the cleanest, most scenic destinations in the world, with must-hit attractions like the royal palace and the Nobel Museum. But though the flights are cheap, the city ain’t; budget about double what you’d expect to spend at home. If you’ve got some time, take a six-hour train ride out to Bergen on the west coast of the country. It’s the gateway to the best fjords in the region and gives you a chance to see Norway’s spectacular countryside along the way. 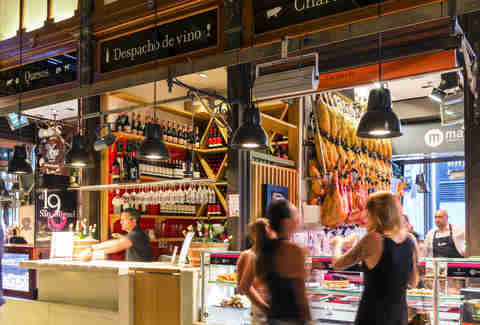 In the sea of aspirational Spanish beach travel with Mallorca and Ibiza getting the bulk of the hype, Americans often overlook this vacation city on the southeastern coast. Alicante is the capital of Costa Blanca, so named for the long swaths of white sand beach that draw millions to the region; Postiguet will have the most people and the best scene. Alicante feels a little like an old-world Cartagena, with narrow, cobblestone streets and colonial architecture filling the historic city, the 1,500-year-old Castillo Santa Barbara standing sentinel over the town and ocean beyond. Head here on June 23 for Los Hogueras de San Juan, where enormous bonfires and even bigger parties fill the coastline. 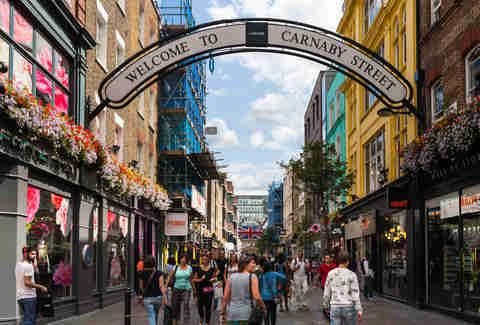 Summer might be the one time of year you’d describe the weather in London as “tolerable,” and with the cheapest median airfare we’ve seen here in recent memory, now might be the time to go. So, what do locals do in London in the summer? It starts with flocking to every rooftop, patio, or open space to bask in the sunshine, and parks like Hyde Park, Regent Park, and Kensington Gardens become the social centers of the city. June’s Taste of London gives you a chance to sample food from some of the best restaurants in the world. And we heard somewhere there’s some kind of wedding ceremony going on here in May. The locals might be slightly excited. This far-north capital comes alive in summer when its statuesque residents flock outdoors for the extended hours of daylight. 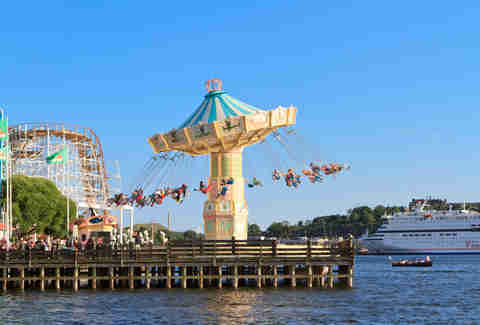 Once the weather warms up, head to any of the city’s floating bars and sip some beers while relaxing on the water. June brings the Midsummer celebration: Flower crowns and dancing around maypoles highlight the traditions of this blissed-out rite. July might be your best bet if you want to avoid crowds: Since most Swedes get the month off (you gotta make up for lost time from that winter), many head out to the countryside, leaving the city comfortably empty. Or go in August and enjoy Stockholm at its peak. Though Barcelona has actually made efforts to REDUCE tourism in recent years, that hasn’t stopped the onslaught of cheap flights bringing in Americans by the Boeingload. 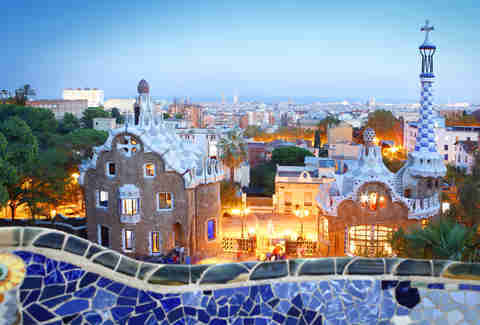 No worries: There’s plenty of room for everyone, whether you’re strolling La Rambla, visiting the Yankee Stadium of futbol at Camp Nou, or sunning yourself on the beach at Nova Icaria. Barcelona is also this summer’s home port for the biggest, craziest new ship on the water in Royal Caribbean’s Symphony of the Seas, so if you wanna be among the first to sail, cheap flights make it easier. Summer in Madrid can skew a little sultry, with average highs in July and August near 90 degrees. This is why organizers named the city’s biggest summer music festival Madrid Cool, which this year welcomes headliners Pearl Jam, Depeche Mode, and Queens of the Stone Age. If flying across the pond for rock concerts seems a little excessive, culture abounds in Madrid this summer as well. During the first two weeks of August, the San Cayetano, San Lorenzo, and La Paloma festivals hit the old town streets of Los Austrias and Lavapies, with music, dancing, and plenty of food. And for art lovers, the Prado will feature an exhibit called "Rubens, Painter of Sketches," devoted to Flemish artist Peter Paul Rubens. 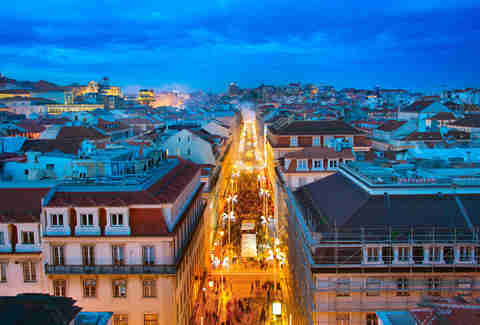 Though Lisbon might not have the very cheapest airfares this summer, it may well still be the cheapest destination. This historic city is still a place where beers are $2, and stands selling freshly grilled seafood rarely charge over $7. June 12 and 13 bring the festival of San Antonio, where parades wind through Avenida de Liberdade at night and a daytime procession around the Sé cathedral the next afternoon. The Rock in Rio festival makes its bi-annual stop in Lisbon June 23-24, this year headlined by Bruno Mars, Muse, and the Killers. Or you can just enjoy Portugal’s beaches, castles, and history for far less than you will in the rest of Europe. You’re never going to get abundant sunshine on an Irish vacation, but at least summer gives you your best odds. And by that, we mean highs in the 60s. 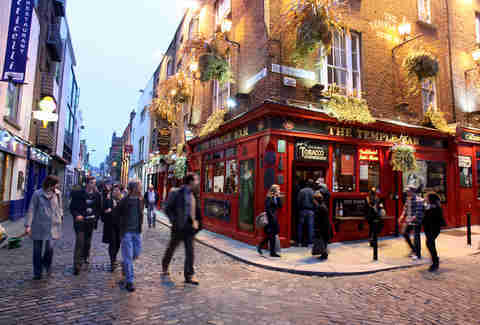 No matter: Dublin has all varieties of fun indoor activities, whether it’s pub-hopping through Temple Bar or seeing one of the grandest libraries in the world at Trinity College. In June you can hit the Summer in the City festival, held completely indoors at the RDS Arena and headlined this year by the Chainsmokers. Or just post up at the Guinness Storehouse and experience the Disneyland of Irish stouts, complete with an experimental Guinness craft beer bar, interactive exhibits, and multiple restaurants. Matt Meltzer is a contributing writer to Thrillist who wouldn’t cross the street to see the Chainsmokers. Follow him on Instagram @meltrez1.